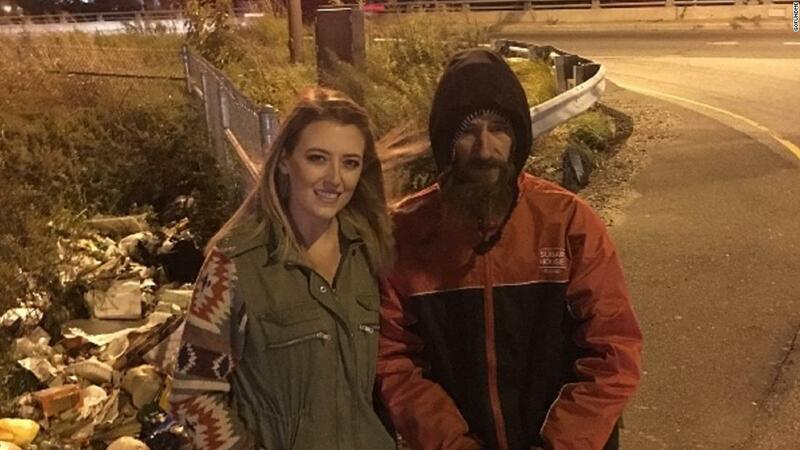 A couple from New Jersey and a homeless man are accused of putting the program together, which raised more than $ 400,000. "All donors contributing to this GoFundMe campaign have been fully reimbursed, and GoFundMe fully protects the donors. We have a comprehensive refund policy," said GoFundMe spokesman Bobby Whithorne. The campaign had attracted around 14,000 donors. 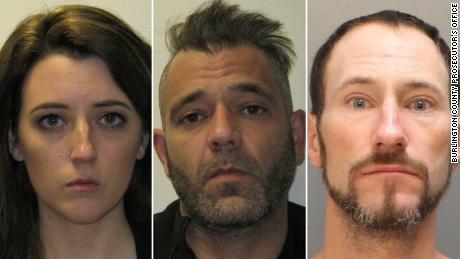 The couple, Kate McClure and Mark D & # 39; Amico, and the homeless Johnny Bobbitt Jr. are being charged with fraud and conspiracy by fraud.
" The pay-it-forward story that drives this fundraiser forward Eb seems too good to be true, "said Burlington County Attorney Scott Coffina a press conference last month. "Unfortunately that was the case, the entire campaign was based on a lie." According to the charges, the proceeds of the campaign netted about $ 367,000, all deposited on McClure's accounts, Coffina said. Bobbitt received $ 75,000, and within months, McClure and D & # 39; Amico had "squandered" their share to buy a car, high-end handbags, and travel, Coffina said. They also used it in casinos, he said. Coffina emphasized that thanks to Bobbitt, a veteran, for his commitment and sympathy for the country, he was co-responsible for the crime and made media appearances to contribute to "promoting the fraudulent campaign". They returned to the job a month later, Coffina said. D & # 39; Amico took a photo of McClure and Bobbitt, which was the face of the GoFundMe campaign they launched hours later, Coffina said. Investigators reviewed more than 67,000 text messages in the case, including a McClure sent to a friend "Okay, wait, the gas part is completely made-up, but the guy is not, so I had to come up with something, to make people feel bad. " GoFundMe spokesman stressed that the crowdfunding site is fighting fraud. "It's important to understand that abuse on our platform is very rare," said Whithorne. "Abuse campaigns account for less than a tenth of one percent of all campaigns, we have a zero tolerance policy for fraudulent behavior, scams are reimbursed, and we work with law enforcement agencies to reclaim the money." According to its website, the company has a Trust and Safety team that monitors GoFundMe campaigns around the clock and acts against fraud. It also guarantees a refund for donors if something is wrong with a campaign. CNN's Madeline Holcombe, Dakin Andone, Evan Simko-Bednarski and Olivia Kiely contributed to the report.